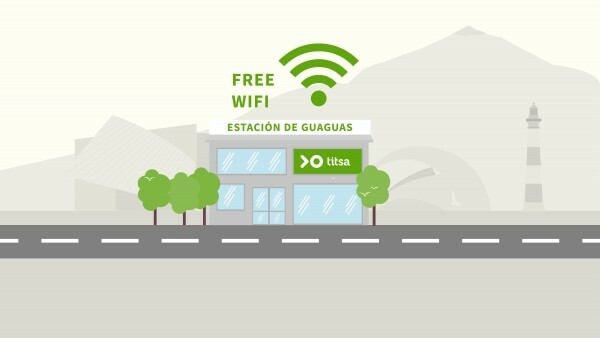 Guaguas stations of La Laguna, Santa Cruz, Costa Adeje and the main stop of Puerto de la Cruz already have free WiFi available to users. 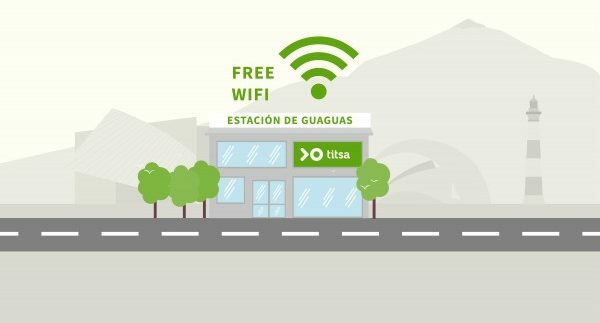 TITSA (Titsa) under the Cabildo of Tenerife company offers its customers this new service with the intention that, in this way, can have a free 4G connection while performing transshipment or waiting for your line. In addition, this service will allow customers to connect access through the web of Titsa, to real-time information about bus services are available at the time of the connection, incidents or late-breaking information. 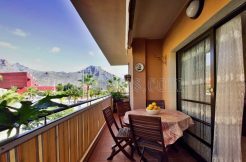 WiFi high speed connection is served by the company Canarias Internet. The network has implemented a connection speed of 50 megs with only two limitations: A security access to certain content, and over time, an hour a day per user. The network flow will be sufficient to access the most common content, search engines like Google, social networks or use Whatsapp. You come to a landing page (in the attached image) which will have to register only once, through a small form or through Facebook, Twitter or Google +. 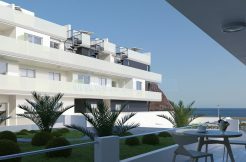 It is estimated that more than 100,000 users this year will benefit from free internet access, as during the trial period of the network, held in Costa Adeje station, the user response was massive.